White House economic advisor Larry Kudlow confirmed the meeting and said, "I just think this is a good thing. It's better to talk than not talk." "We haven't had a sit-down with the Chinese either at the top level or the intermediate level in quite some time," he said on CNBC. US Commerce Secretary Wilbur Ross held talks with Chinese Vice Premier Liu He in Beijing in June. Liu had met with US Treasury Secretary Steven Mnuchin in Washington a month earlier. The White House previously said it would not hold talks unless Beijing was willing to offer a deal to reduce the US trade deficit but Kudlow declined to say whether there was a deal under discussion. But he said the Chinese government "must not underestimate President Trump's toughness and willingness to continue this battle." 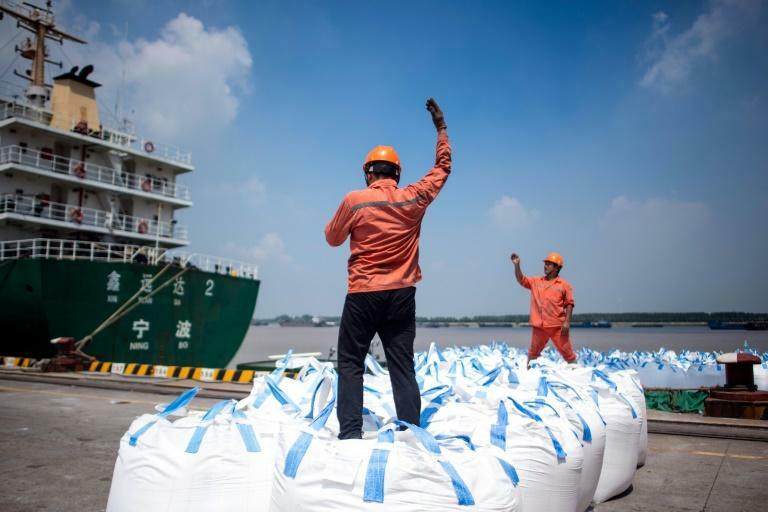 Talks in June failed to reduce tensions as the United States slapped tariffs on $34 billion worth of Chinese goods in early July, triggering an immediate dollar-for-dollar retaliation from Beijing. Washington has also lined up an additional $200 billion in Chinese imports and US President Donald Trump said he could raise tariffs on those products to 25 percent instead of the previously planned 10 percent. Those could take effect as soon as September. "If they were determined to fight it out, they wouldn't meet," he told AFP. Larry Hu, head of greater China economics at the Macquarie Group, said the two sides may discuss what Beijing needs to do, such as increasing US imports, further opening its markets and making efforts to protect US intellectual property rights. Meanwhile the dollar has been strengthening, in part due to rising US interest rates. Trump touted that in a tweet Thursday, even though a stronger dollar hurts US exports. "Our Economy is doing better than ever. Money is pouring into our cherished DOLLAR like rarely before..." he said on Twitter. Trump has boasted that trade wars are "easy to win" and warned he would hit virtually all Chinese imports if Beijing does not back down and take steps to reduce its $335 billion surplus with the United States.